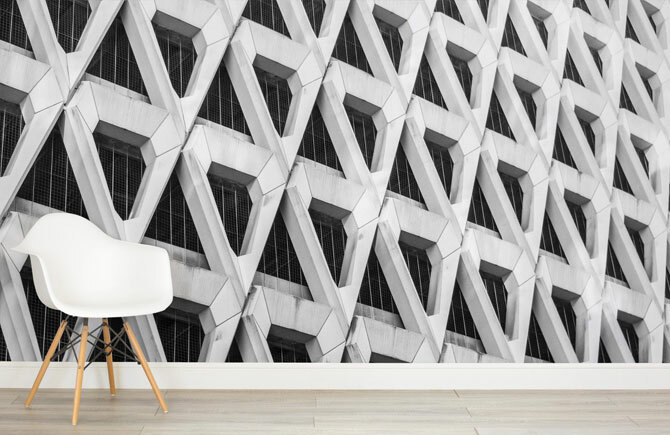 If concrete floats you boat, then you will definitely like the idea of the Brutalist Architecture wallpaper range by Murals. 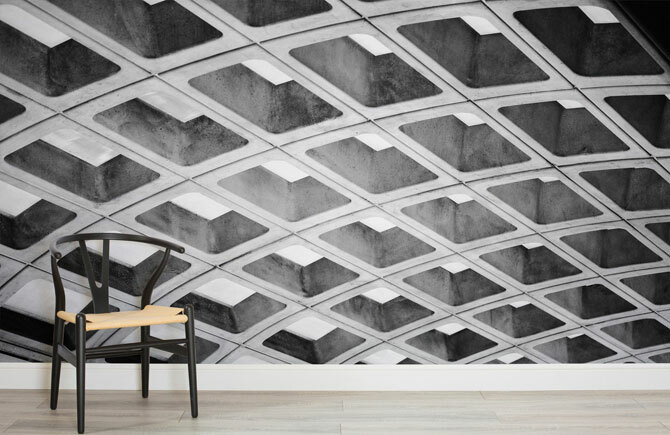 This is wallpaper or wall covering based on brutalism and featuring some close-ups of notable brutalist buildings. A few years ago, that might have seemed an odd idea. But with brutalism and its associated architecture being so popular these days, it seems like a logical step. 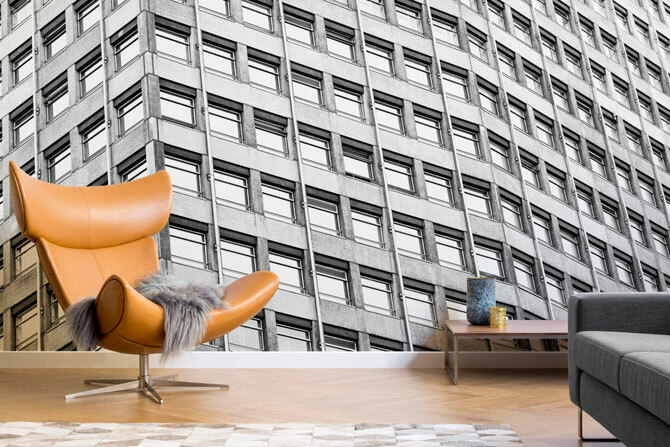 Not that we would cover a room in any of the five designs in the range. 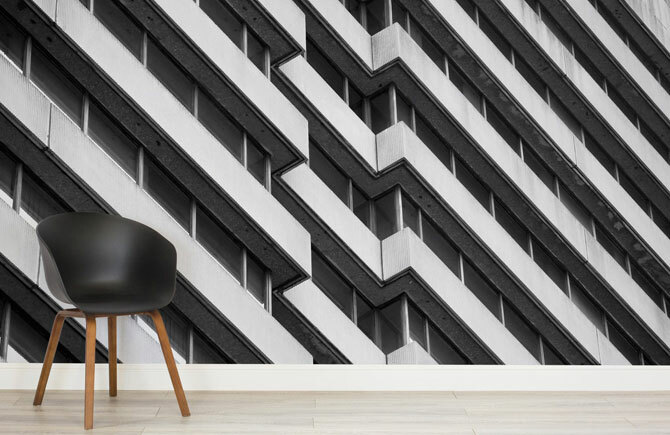 But if you are planning a feature wall at home or perhaps in an office, these are designs with serious impact, especially in that monochrome finish. Pricing it isn’t easy as that depends on how big your wall is. But each section is custom made and sells for £30 per square metre if you want to get the calculator out. 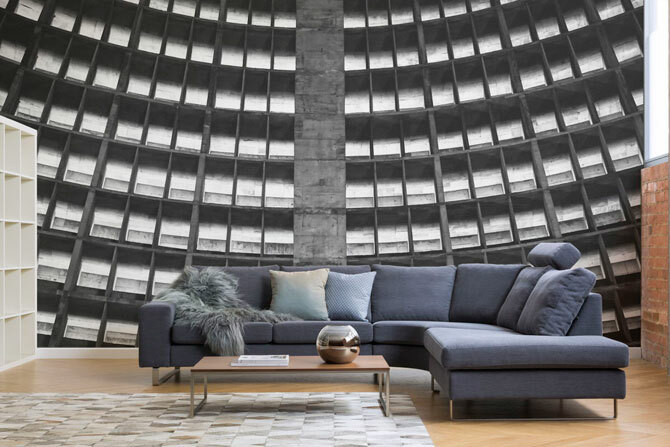 Check out the full range above and below, which is matched up with furnishings from BoConcept in case you are wondering. A for price, this is custom made and sells from £30 per square metre.